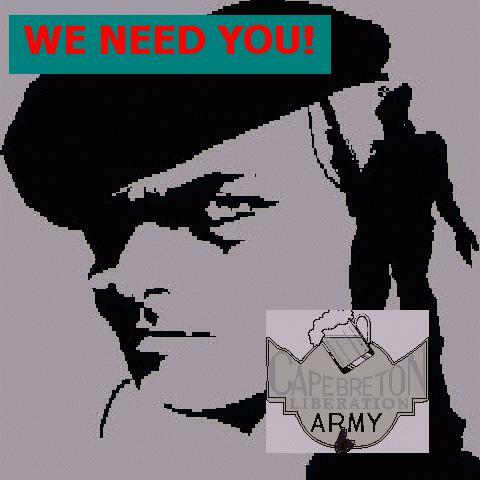 The Cape Breton Liberation Army (CBLA) has fought, and will continue to fight, for the right of "Capers" and other repressed people, to attain social and political justice. CBLA seeks an end to political association with the Dominion of Canada and it's Province of Nova Scotia, long the cause of conflict, injustice and division in Cape Breton. We seek the establishment of a new Cape Breton based on sustainable social and economic development; genuine democracy, participation, equality and justice at all levels of the economy and society; and a lasting and meaningful peace with unity of purpose and action. The CBLA stands for a Republican form of government and the abolition of the Monarchy Our objective is to "Run the Crown Outa Town". 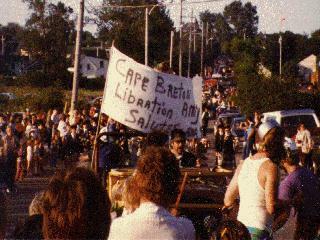 We seek self-determination, and the independence of Cape Breton as a sovereign state. The CBLA will join with any other group whose objective is destruction of the so-called "New World Order"
"This site is provided as a public service by the Cape Breton Liberation Army Special Operations Branch, Western Division. This site is intended to be used by the public for viewing and retrieving vital information only.Unauthorized attempts to upload or change information on this service are strictly prohibited. Violators will be tracked down and killed."